Ben Caspit photographed in the Prime Minister's residence in Jerusalem on 22 Jan 2009. Photo by Yossi Zamir. Flash 90. 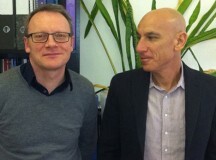 In this exclusive interview, Fathom deputy editor Calev Ben-Dor sits down with Ben Caspit, a senior columnist for the leading Israeli daily Ma’ariv and is a regular TV commentator on politics and Israel, to talk about his new book The Netanyahu Years and what he sees as the future for the Israeli Prime Minister. 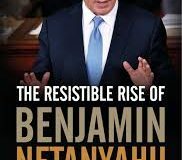 Israeli journalist Ben Caspit, author of a new book The Netanyahu Years has been reporting on Israeli Prime Minister Benjamin Netanyahu (Bibi) ever since he came to power in 1997 and is considered to be one of his fiercest critics. While associates of Netanyahu claim that Caspit has been conducting ‘a witch-hunt’ against him for 20 years, Caspit sees things differently, amazed that the ‘First Family’ with all its power and influence continues to see itself as a victim. When I sat down with Caspit in a café in Tel Aviv to discuss his book, he joked that some American reviewers concluded from his book that he obviously admired Netanyahu! Actually, in some ways he does. He sees Netanyahu as a political genius, with a never say die attitude. He acknowledges ‘the spirit of resolve, the refusal to quit, the code of the last man standing,’ and says that Netanyahu’s time in the army – where he was in the elite Sayeret Matkal unit – was characterised by ‘extreme motivation’ and ‘obsessive competiveness’. Moreover, the chapters surround the fraught relationship of President Barack Obama and Netanyahu – which many commentators blame squarely on the prime minister – are critical of both sides. Caspit sees the relationship as being ‘riddled with incidents that began with a misunderstanding, escalated with tendentious leaks to the media, and a great deal of bad blood,’ adding that ‘in many instances, there was more smoke than fire’. Yet the default tone of the book is sharply critical. Caspit is often frustrated with Netanyahu, seeing his premiership as a missed opportunity. He writes in the book that ‘the credit he [Netanyahu] has built among the Israeli public over the past seven consecutive years of his regime has allowed him to do practically anything he wants. He could have marked a target and aimed for it, burst through a political dead end, changed the paradigm, been a leader’. Instead, says Caspit, Netanyahu focused on ‘protect[ing] the existing situation, to identify the dangers to him politically, and use up his political capital at the cost of the opportunities he had to be a change-maker’. Some would argue that Caspit does not grasp how attractive this conservatism is to the Israeli public at a time when the entire region is in violent flux. In an interview in Fathom last year, Israeli author and journalist Yossi Klein Halevi suggested that the collapse in many ideologies and approaches to the conflict – the political Right’s ‘Greater Land of Israel’; the Left’s ‘withdrawal will lead to peace’; the more contemporary ‘unilateralism can bring stability’; and even ‘maintaining the status quo’ – helps explain Netanyahu’s extraordinary longevity. The prime minister ‘embodies this Israeli sensibility that says yes to a two-state solution in principle but is in no hurry to implement it’. This is even truer when one considers the argument – which Caspit strongly agrees with – that Palestinian Authority Chairman Mahmoud Abbas is not a partner for peace nor capable of signing a peace agreement. 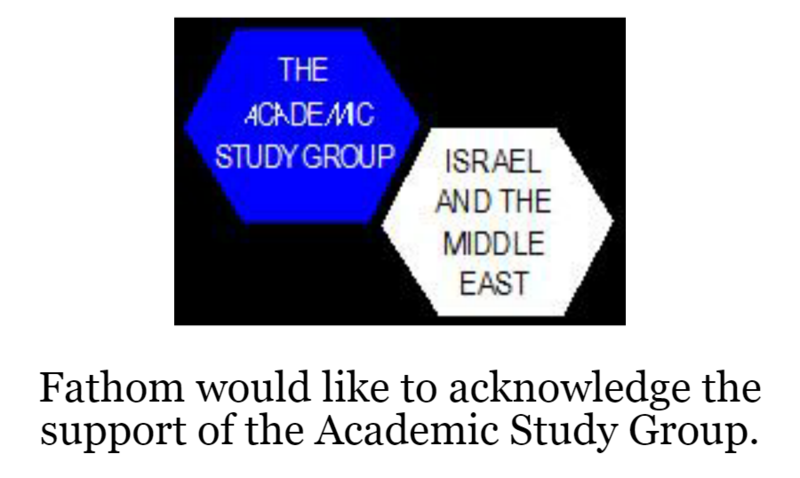 The ‘philosophy’ or strategic underpinnings of conflict management often advanced by Netanyahu (and others such as former Defence Minister Moshe Ya’alon) were articulated best in an October 2015 Foreign Affairs article by Natan Sachs titled ‘Anti-Solutionism as a Strategy’. Sachs argued that ‘at his core, Netanyahu is not so much hawkish as conservative: determined to avoid revolutions, wary of the unintended consequences of grand policy designs, and resolved to stand firm in the face of adversity. He is deeply pessimistic about change and believes that Israel, a small country in a volatile region, has a minuscule margin for error. Despite what many progressive Europeans think, such a worldview does not constitute warmongering. Nor, as some Obama administration officials have suggested, does it constitute weakness or cowardice. Instead, at its best, it is a view of leadership as stewardship rather than transformation, one in which potential losses loom far larger than potential gains’. It makes sense that much of the public would identify with such a ‘steward,’ despite the downsides of such a strategy. We met on an unseasonably warm September’s day at an upscale café often frequented by journalists and writers in the Tel Aviv suburb of Givatayim. Calev Ben-Dor: You describe how Netanyahu’s father Benzion ‘was an outsider almost all his life, both in America and in Israel’ and how he ‘instilled this in his sons’. You also argue that the death of Netanyahu’s brother Yoni – who was killed leading an IDF operation on Entebbe airport to free hostages, was ‘the hardest and most definitive event’ in his life. How did these things influence him? Ben Caspit: Yoni’s death is the game changer. I’d go so far as to say that without Yoni’s death there isn’t Bibi as he is now. Growing up, everything in the home revolved around Yoni. He was the intended. He had a historic role – to fix the situation of the family who felt they had been doubly isolated (because they were Revisionists and within the Revisionist movement itself). Bibi was happy to play the role of supportive brother. For example, when Bibi went to Sayeret Matkal, Yoni was then in the paratroopers. But when Bibi realised his unit was the place to be, he brought Yoni in. I am convinced that but for Yoni’s death Netanyahu would have stayed in the US. He had dreams of being an architect and he had received a job offer from the Boston Consulting Group. Had he not died I believe Yoni may have even become prime minister of Israel with Bibi the wealthy brother in Boston. Not only that, I believe that Bibi’s wife Sara is actually correct when she says that had Netanyahu been born in the US he could have been president. Certainly, with his charm and turn of phrase he would have made a very successful Republican senator. I relate a story in the book about the time Netanyahu appeared on a US news show and, by mistake, was described as ‘Benjamin Netanyahu (R),’ as in Republican. CB-D: When Netanyahu returns to Israel and enters politics he finds himself competing against the so-called ‘Likud princes’ who have been in the party for many years. Netanyahu brings back with him an American-style politics that was alien to Israel, but made him so successful. BC: Looking back, it is clear that when Netanyahu appeared on the political scene in 1988 he would win against the ‘Likud princes’ (second generation Likud members who were the children of prominent figures in the Herut Party). It was like a F-35 fighter battling against a glider. He brought the importance of TV and of looking good. He had experts like Arthur Finkelstein who helped him with polling and others who worked according to a technique to ensure a candidate builds himself around what people want. Netanyahu and his team would check voter lists and reach out to people. At the time, the Israeli political scene was very unsophisticated. 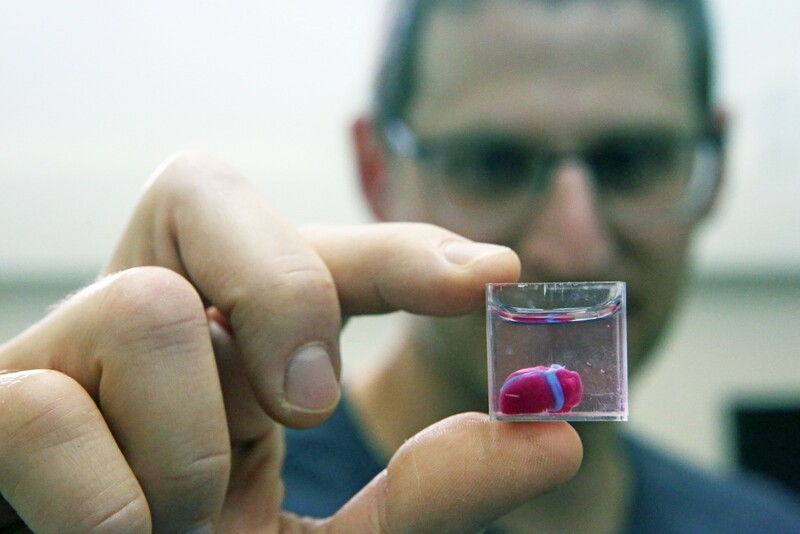 Arik Sharon would go to events and shake hands – that was about the size of it. CB-D: It’s interesting to compare Netanyahu’s success with someone like Abba Eban, who also returned to Israel having been involved in diplomacy in the US but never managed to replicate the success he’d experience in the US back home. Why was Bibi different? BC: Eban had an accent – when he spoke in Hebrew people heard English. Eban hadn’t been in Sayeret Matkal. And he wasn’t Yoni’s brother. Netanyahu actually managed to enjoy the best of both worlds. He was a sabra and didn’t look (or sound) like an alien. On the other hand, he brought an American finesse. CB-D: In the book Netanyahu seems to have a contradictory approach to the media. On the one hand, he is media-savvy, he brings a new understanding of its importance. On the other he sees the media as an enemy. BC: Netanyahu really understood how to make the most of media. He is the first who began to check different TV angles, and to prepare soundbites. While others were preparing long speeches in response to events, Bibi became an expert in the use of ‘inserts’. He didn’t just learn this from his time in New York as an Israeli diplomat. He grew up in America, where television was a lot more sophisticated than in Israel, and he understood how TV often sets the agenda. Out of all the politicians, Bibi is the only one who knows at every single moment where the camera is that is shooting him. It’s not just that he is a great orator. He also learned how to utilise the medium to his advantage. Bibi is the best student in the world. There is a story about when he and his then-wife Miki went skiing for the first time with another Israeli couple. None of them knew how to ski so they took an instructor. But after an hour of constant falling, Miki and the other couple went to drink beer and relax, leaving Bibi on the slopes. He was there until nightfall, and received countless scratches and bruises, but by the end, he knew how to ski. He didn’t give up. Netanyahu has a love-hate relationship with the media. Even though he has a certain amount of control over the media – the influence of Israel Hayom and his personal Facebook page in Israel that can reach millions – he still has a fetish about negative media. 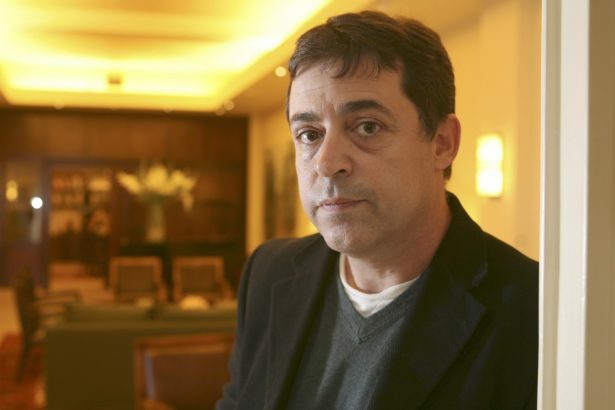 It’s as if he is searching for recognition – that he doesn’t just want to be loved and appreciated by Israel Hayom but by Nachum Barnea, Amnon Abramovitch, Yossi Verter and Ben Caspit – even though he’s far more influential than we all are. CB-D: About the time of his electoral defeat in 1999, you wrote ‘the feelings he aroused in political colleagues were all antagonistic. Almost everyone, from all parts of the political map wanted to be rid of him’. How does someone like that keep winning? How is it that 20 years on Netanyahu is still prime minister and he has almost passed David Ben-Gurion in longevity? BC: This paragraph is still accurate today. It’s not only the other political parties want to be rid of him, but even the majority of the Likud. So why is he still in power? Firstly within the Likud he has demonstrated his leadership credentials by winning elections. Second, he has succeeded in ridding the party of rivals – either by chasing them out or by weakening them. Traditionally there have always been different camps within Likud – Yitzhak Shamir vs. Moshe Arens; Ariel Sharon and David Levy. But now there is no one from within to challenge Netanyahu – it’s a total desert. Third, outside of the Likud, he has been helped by the dearth of alternatives. In this he has been helped by the 2007 passage of the so-called ‘Dan Halutz law’ [Halutz was a former chief of staff who was widely tipped to enter politics after leaving the army] which mandates a cooling off period of three years for former generals. After this time a general’s popularity has significantly decreased (a good example being former Chief of Staff Gabi Ashkenazi). CB-D: You have written that Netanyahu has created the perception in the public’s mind that he is ‘Mr Security’. How? BC: This is Netanyahu’s genius, especially as on many national security issues he has failed. For example on Iran he failed miserably. Countless times he claimed that if the world didn’t stop Iran then Israel would. But having threatened and subsequently spending 13 billion shekels on a military option, when the time arrived – in the summer of 2011-12 – he choked. Everything with Netanyahu is words. Despite this, Netanyahu has succeeded amongst many sectors – primarily among lower socio-economic groups – in framing himself as ‘Mr Security’. Every time he speaks at the UN or AIPAC, there is no Israeli that doesn’t feel proud. There is something deep within the Israeli psyche that wants our position and the justice of our path to be told to the world. As a presenter Netanyahu is able to create an alternative reality. And it works. I actually believe that Netanyahu’s speech in US Congress in 2015 [when he criticised the Iran deal] had a role in his election victory. Israelis have short memories. They forget that missiles were fired at Tel Aviv during Operation Protective Edge; or that a thousand terrorists were released in the [Gilad] Shalit deal; or that Israel threatened Iran but didn’t stop it nor influence the Iran nuclear deal. In 2007 when there was a nuclear reactor in Syria that needed to be destroyed, it was [by then Prime Minister Ehud Olmert]. Without any speeches. An idealist, a pragmatist, or something else entirely? CB-D: In the book you describe the various peace negotiations, arguing that Netanyahu was never fully immersed in them. You also claim Netanyahu ‘is not moved by Rachel’s tomb or the Cave of the Patriarchs; he is indifferent to the settlements. Nor is Netanyahu’s ideology rooted in the Divine Promise or the sanctity of God’. And yet Netanyahu says he understands the threat of a binational state. He gives the impression that while he needs to keep his right wing political base, he doesn’t see eye to eye with the annexationists on the Israeli Right. So what is his plan? BC: My working premise is that Netanyahu’s priority is not guided by preventing a binational state, or an existential threat, or ‘Auschwitz borders,’ but rather by the feeling that ‘I am essential to the security and continued existence of Israel’. I didn’t make this up. The Netanyahus say it themselves. So it’s not power for its own sake. Rather, it’s the deep belief that only he can save Israel. There isn’t any specific plan, only his belief that only he is able to manoeuvre the ship to safety at any given moment. I don’t think the perceived threat of the end of the two-state solution is as serious for Netanyahu as it is to Haim Ramon or Tzipi Livni (who feel that its end is imminent and will be a catastrophe). He’s much more concerned by security. Netanyahu lives with the history of catastrophes. He is a panicker. The head of Israel’s Atomic Energy Commission, Shaul Chorev once told Netanyahu to stop frightening Israelis with the idea of a second holocaust, arguing that not only does it not negatively affect Iran, but it scares Israelis and it’s inaccurate. But the Netanyahu family sees its role as identifying the threats from generation to generation (although never the opportunities) and it often multiplies them. Netanyahu deeply believes this; his panic is authentic. In that sense, he is the opposite of Shimon Peres who at every juncture would see an opportunity, and never saw any darkness. CB-D: Well, one reading of Jewish history is that even when things are seemingly very good such as in Spain or Germany in the 1930s, within a couple of years there can be an expulsion or a Holocaust. Given that, and the house he grew up in – his father was a historian of the Spanish Inquisition – I guess it’s not surprising that that is his world-view. Moving on, you refer to the ‘Netanyahu Catch 22’ – he is willing to make painful concessions for peace if a partner existed, but he will never believe there is a Palestinian partner. But perhaps he is actually correct – perhaps there isn’t a Palestinian partner? BC: I am one of those Israelis who doesn’t think that Abbas is a partner for peace. He’s very important to Israel. And we’ll miss him when he’s gone. And he deserves credit for rejecting terrorism and violence even when Yasser Arafat was still alive. But he is not able to sign a final status agreement. He should have said yes to Olmert, and to Bibi on the London document, but he didn’t. So Bibi is right that there isn’t currently a partner with whom to sign a full peace agreement. But what frustrates me is that all the negotiations are always behind closed doors, creating a buffer zone around him to maintain deniability, which he always does. It’s always fake or void. I want an Israeli prime minister who will present an authentic plan. He never takes personal risk. CB-D: So who is the true Bibi – the one that vows not to uproot settlements? The one who warns that Arabs are flocking to the polls? The one who reportedly offers to withdraw to ‘67 borders at secret Track 2 London negotiations [which took place in 2013 and Israeli negotiator Isaac Molho, London based academic and Abbas confidante Hussein Agha and Dennis Ross] and who staked out a more placatory position on refugees than Livni? BC: The true Bibi is the one who can remain in power in order to keep the people of Israel safe. CB-D: You examine a Nachum Barnea story in Yediot Ahronot just before the 2015 elections that exposed the significant concessions that Netanyahu offered on the London backchannel, but you note that the story didn’t make any waves among the public or his right-wing base. Why didn’t it? BC: This is the ultimate victory that Bibi won against his bitter rival Noni Mozes, the owner of Yediot Ahronot. Naftali Bennett uploaded the article onto his Facebook page with the comment that the veil has been lifted and that Netanyahu is willing to sell out the Land of Israel (and that only Jewish Home is true to the principle of the Land of Israel). But later that afternoon, Bennett called me and complained that no one believed the story because Barnea worked for Yediot. The public saw the expose – which was completely accurate and could have damaged Netanyahu among right-wing voters – as fake news! CB-D: You have said that you think we are at the beginning of the end of the era of Netanyahu. But you begin your book before the elections of 2015 when people were also convinced that it was the beginning of the end. What is different this time? BC: In 2015, everyone – including Bibi – thought he would lose and believed that the public was fed up with him. But when Bibi’s fate is in his own hands he is the best fighter. So he did everything – including all sorts of Machiavellian tricks – and he won. Part of the reason was also of course the fact that there was a dearth of alternatives. When it’s ‘him or us’ as the opposition framed it, and the ‘us’ is weak, it gives him a better chance. As long as things are in his own hands, he can’t be ruled out. The motif throughout much of his life has been an ‘uphill battle’. He is the comeback kid. However, the difference between now and then is that 80 per cent of his fate is no longer in his own hands. So he can play with the 20 per cent – arrange a Likud supportive demonstration, or give speeches. He knows how to fight. But he doesn’t have control over the corruption investigations; things have changed, and the Rubicon has now been crossed. If we reach a moment when the attorney general, the police chief and the head of investigations within the police conclude that there is corruption and put forward an indictment, the game is over. It could take months. But once there is an indictment, the game is over. CB-D: Does it not depend on the coalition? There isn’t a Ehud Barak (who was defence minister in the Olmert government and called on him to resign when he was threatened with an indictment). BC: There is a Barak, in fact there are two: he’s called Moshe Kahlon, and he’s called Bennett [Kahlon, head of the Kulanu Party and Bennett, head of the Jewish Home Party, are central cogs in the coalition]. CB-D: Can we compare the 1999 elections and now? You write about that earlier time that ‘in desperation, Netanyahu tried to stage a loud confrontation with the media, publicly ridiculing them for persecuting him, and coining the expression they are a-f-r-a-i-d, which became the official war cry of his supporters. It only worked with the Likud diehards. The general public was having none of this media spin’. As rumours of an indictment increase, in addition to Netanyahu maintaining his innocence, a similar tactic seems to be being employed again. But are people buying his argument that it’s the media and others who are ‘trying to topple the Likud and a right wing government’? BC: This is the million dollar question. There are more diehard Likudniks than there were in 1999, and over the last 20 years the Likud has become the dominant party in Israel. Second, the Israeli public in 2017 is more right-wing than it was in 1999, before the Second Intifada and the destruction of the dream of peace. And don’t forget that on the other side then was Ehud Barak, Israel’s ‘Number 1’ soldier. Also benefiting Netanyahu is the feeling many Israelis have that things in the country are good at the moment. There is a perception that the economic and security situation is better than Europe. There is low unemployment, and people holiday abroad. So many people are less bothered about whether the prime minister got champagne and cigars. Having said that, I think Netanyahu’s argument has a glass ceiling. There are even a lot of Likudniks that don’t buy it. This isn’t yet reflected in the polls. But I believe we are in a long process that will ultimately bring a critical mass of people – including the majority of Likud voters – to the conclusion that it’s not the media that’s after him but he’s simply a corrupt prime minister. And the ongoing investigations will help with this. I believe that what began with champagne (Case 1000) will reach submarines (Case 3000). And once it becomes an issue of national security we will see very clear cracks in the wall Netanyahu has built around himself.